That’s ok, but hum, as you can see on this picture the USB plug is on the front panel. And that’s a mess, cause you have to unplugged it when you want to remove the front panel (some infamous guys already try to open my car 4 times..), or to put a CD in. Beside this is a gift, I decided to open it, and try add a external USB in the back. I think my friends will understand this: “If you can’t open it, you don’t own it” ..
First, I decided to open the front panel, to look how the USB plug is connected. 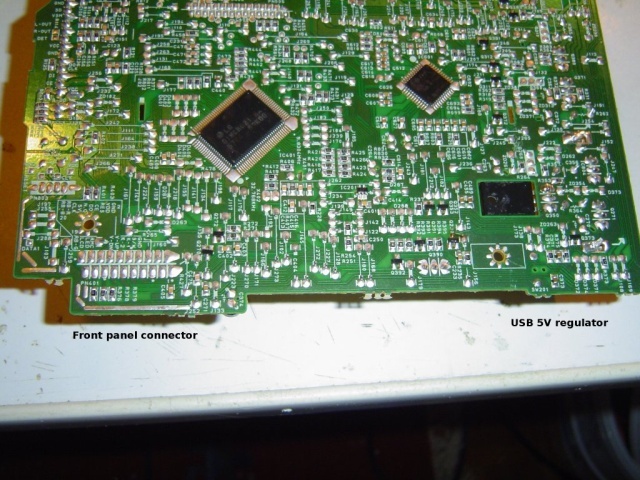 As you can see on the aboves pictures, the USB power-supply come form the main board. That’s fine.. We simply have to add take the power from the source .. 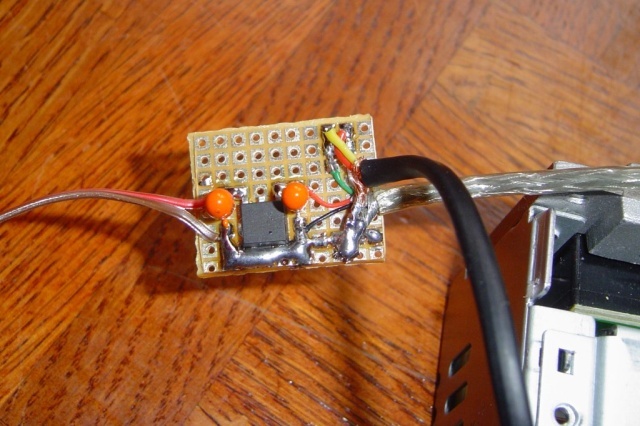 When I look closely, I discover that the PSU provide 5.5v instead of 5.0v. The main reason, is that the front panel contain a small chips do the final regulation.. Ok, we can do the same ? :) I used a low drop 5.0v regulator: LP38691 with 2 small caps.. The final step, is to connect the data bus (DATA- / DATA+), this was really hard, because the front panel USB bus is connected to the main decoder board throught a small wire. 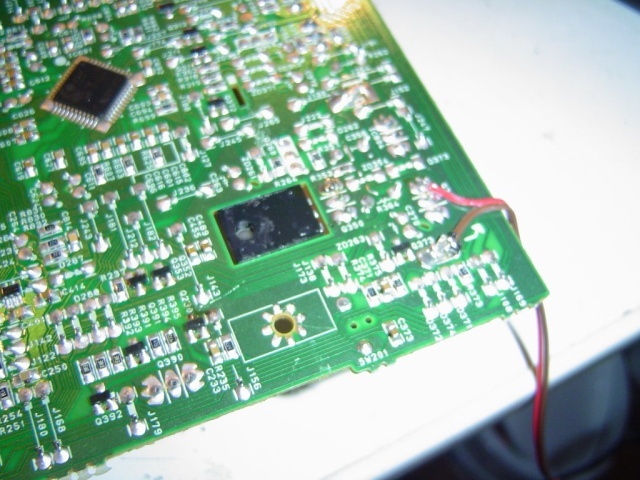 As I’m not able to find the right plug, I decided to solder it on the board ..
As you can see on this picture, on the left, there is the wires from the main board, and the 5.0v regulator. On the right the wire that goes to the decoder board, and the external new USB connector. Howto listen mp3 in the bathroom ? 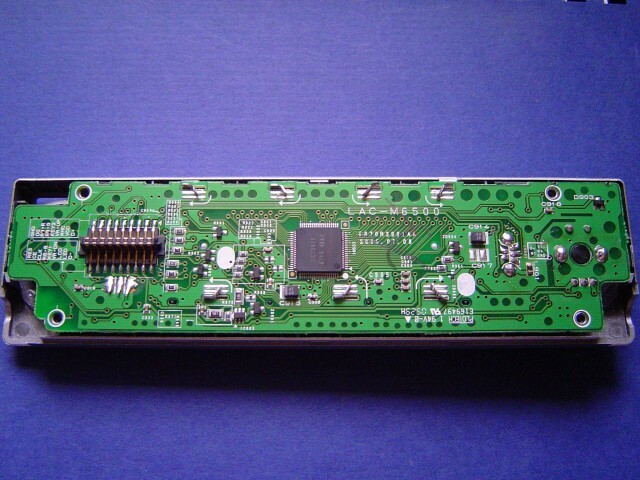 This entry was posted in Electronics and tagged audio, hack, mp3, usb by admin. Bookmark the permalink. my friend has the same radio. 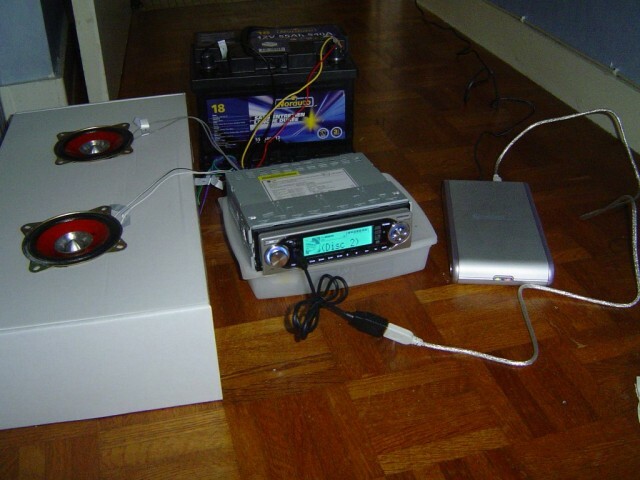 but his 2,5" usb hdd drive (needs no extra power supply) does not work with that radio. when i connect it to the radio it doesnt find a thing on it. the usb stick works fine anyway. 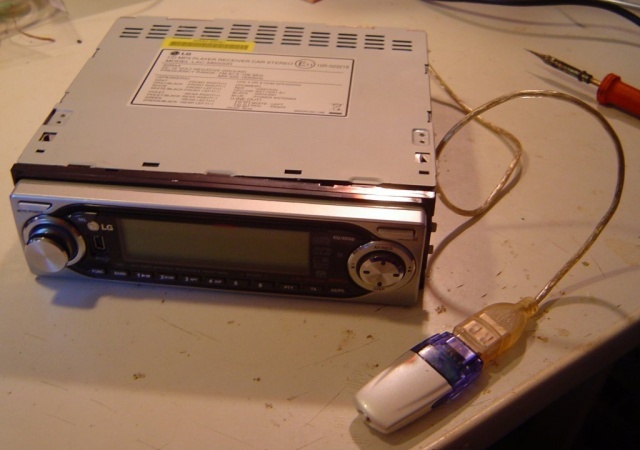 Michael, you could use a very similar setup as the one described here but instead of getting power from 5.5V line on the main board get the power from the 12V line going into the radio. This would of course require you to change the regulator on the custom board to an appropriately rated device. Everything else should be the same. 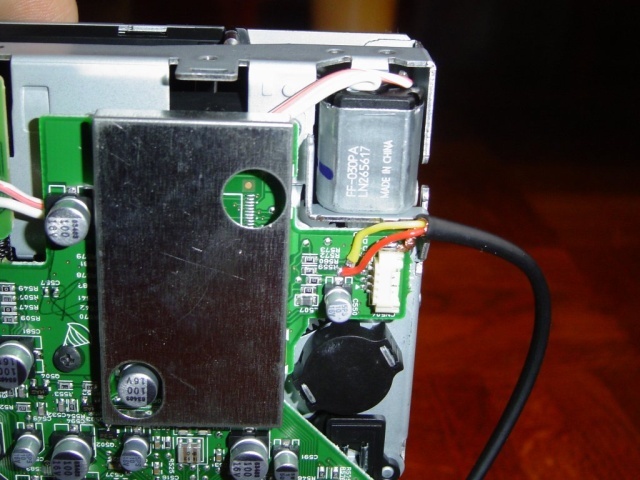 hi my same radio bugged up the c.d drive, and the bealt from the c.d drive to the circut board and broke my u.s.b cable were the flash plugs in knw i tried geting the same plug from a p.c the was not in use but it wnt work i wanna do that idea, wil it work with out the c.d drive. My Cardio doesnt dtect a USB stick when is put inside. It says no USB,Is the same LG.Can You help? Make sure the usb format is FAT32 and not NTFS….right click on the usb icon in my computer and click propeties.